9/365(+1), a photo by Luca Rossini on Flickr. Today it rains, a lot, but it’s fine since it will finally melt the last snowdrifts on the roads. Sure rain makes Rome a mess in terms of traffic, but it also shines on all its marbles. 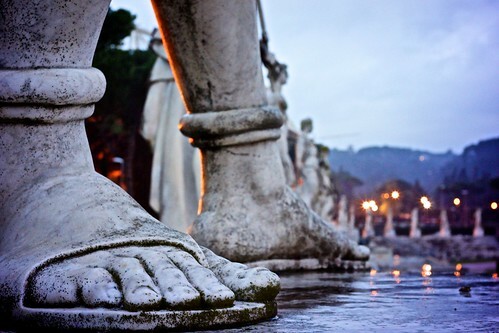 This shot was taken at Foro Italico, city’s athletic field. It was built for the Olympic Games of 1960, together with our neighborhood, Villaggio Olimpico (literally “Olympic Village”) to host the athletes coming worldwide to play at the Games.